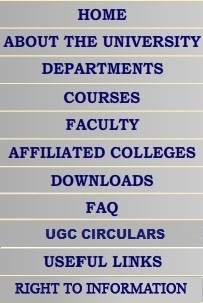 Gujarat University, Navrangpura, Ahmedabad 380 009. Soil and plant Microbiology, Biofertilizers, Microbial biochemistry, Industrial Microbiology, Mycology, Biodiesel by Jatropha. Research facilities are available for the major thrust area in the field of metal bioleaching, bioremediation of organic and inorganic pollutants such as metals, petroleum hydrocarbons, synthetic dyes etc., microbial diversity, extremophiles, microbial polymers, biofertilizers, PGPR, pesticide degradation, microbial enzymes. Till date 22 students have obtained Ph. D., 50 students have obtained M. Phil and more than 1000 students have obtained M. Sc. from the department. Department is one of the biggest department in India with having the student intake capacity of 50 students per year. Prof. S. R. Dave is recognized by Saurashtra University, Rajkot, Gujarat Vidhyapith, Ahmedabad and Swami Ramanand Teerth Marathwada University, Nanded as a Ph. D. research Guide. Department is having separate laboratory facility and classrooms for M.Sc., M. Phil and Ph. D. students. Departmental Library is equipped with more than 750 books along with additional books in the central library of the University. Department is having various audio visual teaching aids useful in effective teaching. Equipments necessary for research studies in the field of Microbiology and Biotechnology are available in the department. The list of the major equipments is as follows. 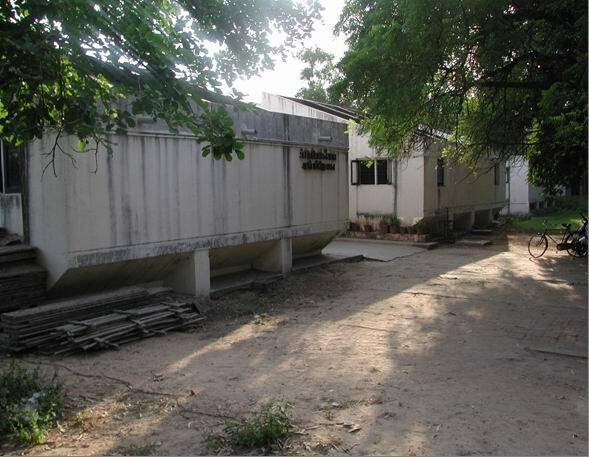 The Department of Microbiology, Gujarat University was established in the year 1976 and since then the major thrust areas of the Department are Systematic Bacteriology, industrial and environmental microbial technology. Departmental faculty have guided Ph.D. students in major field such as environmental microbial technology, plant and soil microbiology, microbial metal leaching and remediation, microbial diversity. Even at Postgraduate level since last 20 years department offers the special paper on Environmental Biotechnology. In M.Sc. final the major thrust is on Bioprocess and Industrial Microbiology. Nearly 1000 students have successfully completed their Masters Degrees, 50 M. Phil and 21 Ph.D. from this Department. Department has developed some promising strains of Biofertilizer which are used by GUJCOMASOL. Unique Metal Bioleaching consortia are developed which are efficiently used for metal extraction from polymetallic ores and concentrates by ecofriendly process for GMDC and other sulphidic mines of India. Dr. Vikram Sarabhai Biotechnology award for the year 2003-04 has been awarded for this research work. Students of this department are holding valuable positions in various Universities, Industries and Research Laboratories in India and abroad and also in Indian Army as scientist. Gujarat University was inducted as a part of the National Biotechnology M.Sc. Course in the year 1999. From the year 2005 Gujarat University has also introduced self financed Biotechnology Course for Masters Degree. These courses are currently conducted in the premises of Microbiology Department. The main thrust areas of this Biotechnology course are Industrial and Environmental Biotechnology. Course Name : M. Sc. in Microbiology. Eligibility : B. Sc. in Microbiology. Subjects offered / Specialization : Environmental Microbiology and Biotechnology. Rs. 10,000/- per term for self finance. Course offered at : Department of Microbiology. employment of the student in various pharmaceutical, Enzymes, Food and food products industries, research laboratories engaged in microbial analysis, molecular biology , waste water assessment , clinical and environmental assessment and control works. Every year considerable no of students are going abroad and they have been absorbed in further study or job. As the course in emphasizing on industrial, environmental, microbial technology microbial diversity and microbial physiology students from this department have very good career opportunity at State, National and International levels. Course Name : M. Phil. in Microbiology. Eligibility : M. Sc. in Microbiology. Placement/Future career Opportunity : Same as Above. Course Name : Ph. D. in Microbiology. minimum 2 years from the date of registration. Course Type : For M. Sc. 20 seats in higher fees. Eligibility : B. Sc. in Biotechnology / Microbiology / Life Science /. Admission Process : By merit in all streams separately. Fees : Rs. 15,000 per term and for NRI seat 50,000 per term. industrial biotechnology environmental biotechnology and microbial diversity . Students will have job opportunities in Industry as well as environmental sectors in Gujarat and out side Gujarat.